I was sitting at my art table looking towards the east. 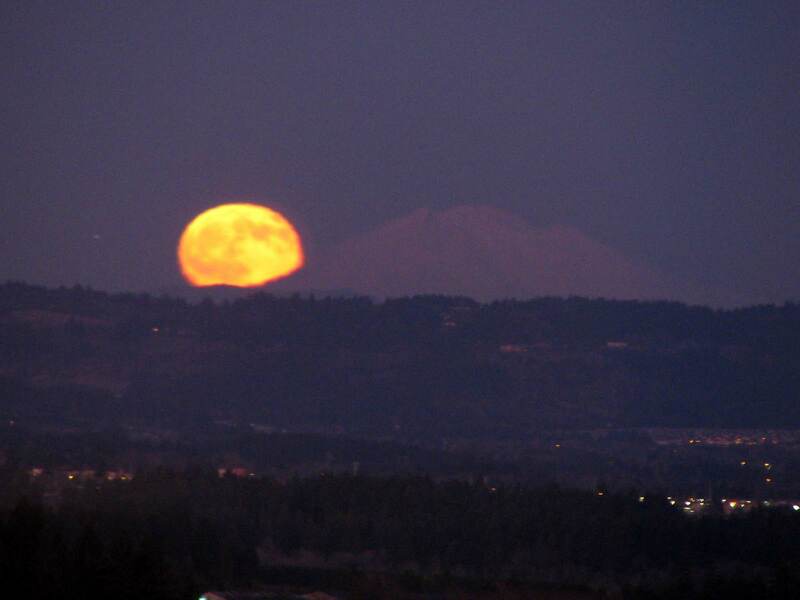 I could see the multi colored Christmas lights strung on our deck railing and this beautiful full moon rising over Mount St. Helens. My interpretation of the prompt. I used glitter glue to create the light bulbs so there is some dimension to them. Onto prompt 2. 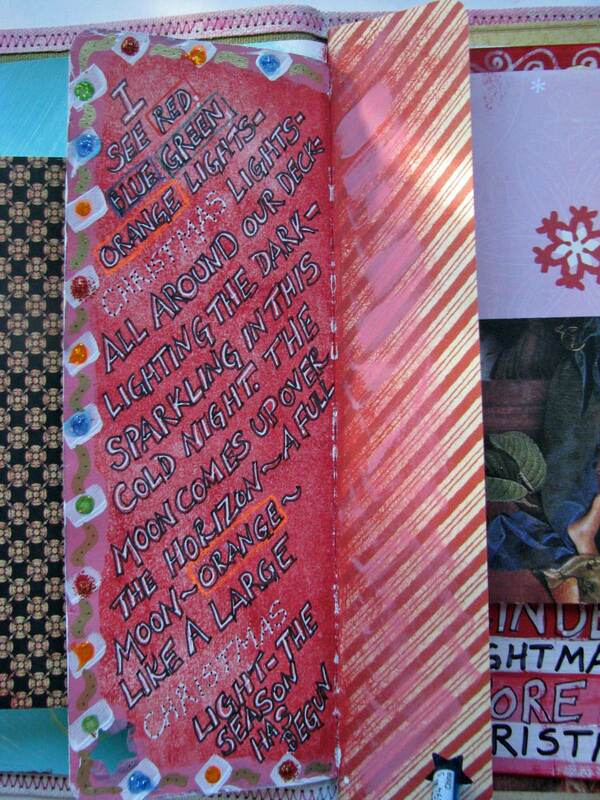 This entry was posted in 2009 and tagged art journal. Bookmark the permalink.